Mars Discount Vacuum is the place to go for all your vacuum cleaner repairs. We service all makes and models of vacuum cleaners and stock most of the vacuum cleaner parts and accessories you will need. We’ve worked on all major vacuum brands and can often diagnose the problem right away. Bring your vacuum to our store and let one of our vacuum experts take a look at it today. Your vacuum cleaner is an investment that should last for many years. If you’re noticing loss of suction, strange noises during operation, poor filtration, or wear and tear, it’s almost always worth getting your current vacuum fixed rather than purchasing an entirely new vacuum. A trip to our store and a few minutes of your time could potentially save you hundreds of dollars and make your life easier by improving your vacuum performance. Here at Mars Discount Vacuum we offer a convenient drop-off service with free repair and maintenance estimates. You can drop off your vacuum cleaner or cleaning device directly at our store and receive a free service estimate for most basic repairs and maintenance estimates to bring your unit back to optimum performance. we will repair your vacuum within 1-7 days and we will call you with the price and pick-up details. Vacuum cleaner roller brush replacement. 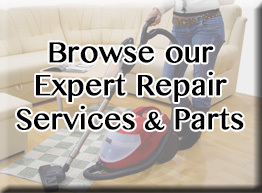 The best vacuum repair services. 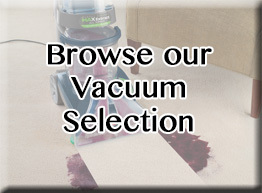 Expert advice on the best vacuum cleaner for your particular needs. Did you know that your vacuum cleaner should be serviced every 12-18 months to avoid problems and breakdowns? Call or come in today. Our service estimates are free. All repairs are guaranteed for 90 days. Mars Discount Vacuum offers a wide variety of parts, belts, bags, brushes, switches, replacement cords and accessories. 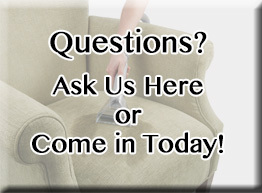 We are happy to look at your current vacuum and offer expert advice on what is needed to return it to service or a complete overhaul, if required. We will always show you changes and improvements on new products so you can make an informed decision about repairs or replacing. We specialize in unusual and hard to find parts. If we don’t have the parts we can special order the right one and get it for you quickly. All repairs are guaranteed for 90 days.